Our product range includes a wide range of lpg storage tank, gas manifold system, lpg manifold system and gas filling station. We design and manufacture LPG storage tank for underground and overground mounting. Keeping in line with the latest trends in the LPG industry we design and manufacture LPG mounded tanks. Tanks can be supplied complete with necessary safety fittings, piping, instrumentation, and controls, fire fighting arrangements etc. 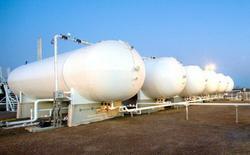 Turnkey projects for LPG storage are also undertaking. We have a team of highly skilled engineers for the installation and commissioning of LPG tanks at the site. We are one of the leading manufacturers and exporters of Gas Manifold System for industrial and medical applications with pressure reducing stations custom designed for the need-based applications. 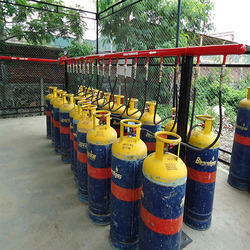 We design, supply, erect and commission the system for continuous supply of gases for various applications with safety. Moreover, the systems are user-friendly & cost effective. Suitable for oxygen, hydrogen, argon, nitrogen, helium, air, acetylene, ammonia, carbon-di-oxide, specialty gases, propane, methane gases. We have supplied manifolds of different range 80 cylinders for various gases. We manufacture and deliver LPG Manifold Systems to our clients. While manufacturing these products, we make use of premium-grade components and advanced technology. Our products are developed in compliance with the global safety standards. 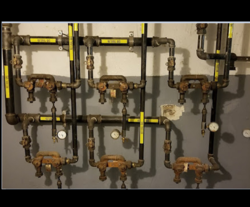 Apart from this, we also undertake custom designed LPG Manifold Installation. We are one of the leading manufacturers and exporters of Gas filling station for industrial and medical applications with pressure reducing stations custom designed to the need-based applications. We design, supply, erect and commission the system for continuous supply of gases for various applications with safety. Moreover the systems are user-friendly & cost effective. Suitable for oxygen, hydrogen, argon, nitrogen, helium, air, acetylene, ammonia, carbon-di-oxide, specialty gases, propane, methane gases. We have supplied manifolds of different range 80 cylinders for various gases.